It's prom night and the kids of Hoover High will be having a night they will never forget. Popular girl Shelley ditches her prom and ends up spending the night with unpopular Dan; Popular guy Kevin goes out with nerdy Angela because he heard she was easy; Patrice continues to blame her boyfriend Roger for everything that doesn't go the way she wants it to. The adults also have there problems to contend with: Nancy and Larry must find out a way to patch up their marriage or get a divorce; Jack spends the night tracking down his son Dan to find out why he didn't go to the prom; and overprotective Ed and Ruth keep tabs on their daughter Angela throughout the night. 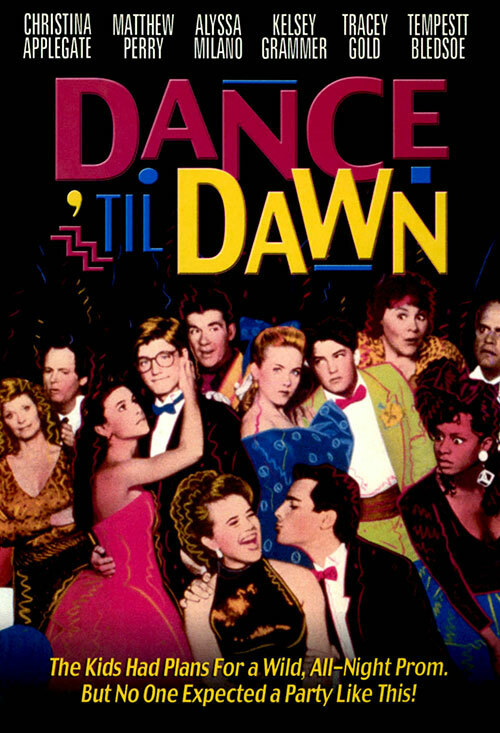 0 Response to "Dance 'Til Dawn (1988) Paul Schneider"